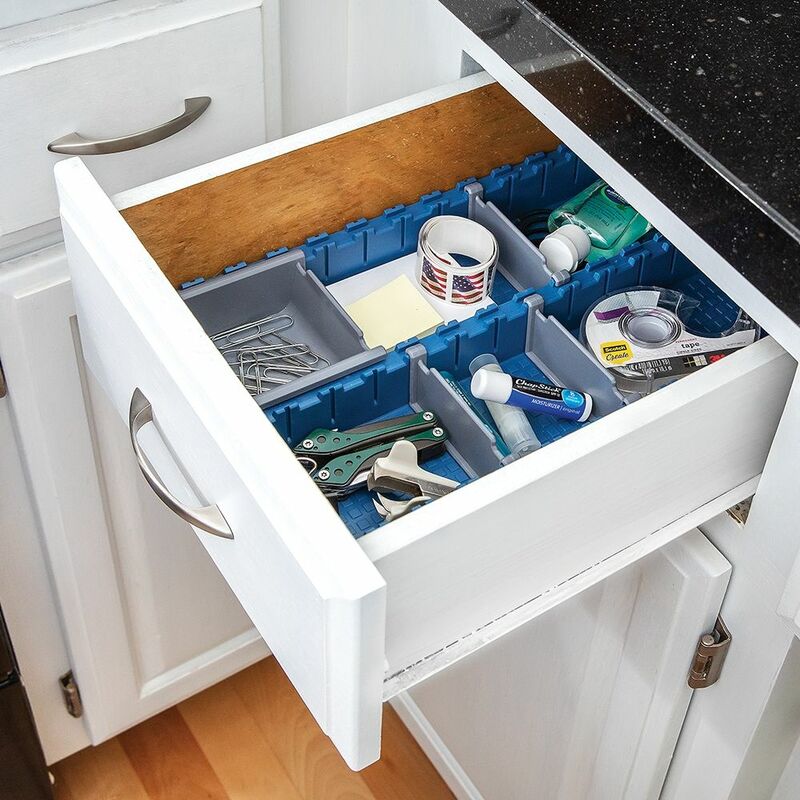 Bring order to the chaos of the drawers in your shop, home and office—components interlock to fill any size of drawer. 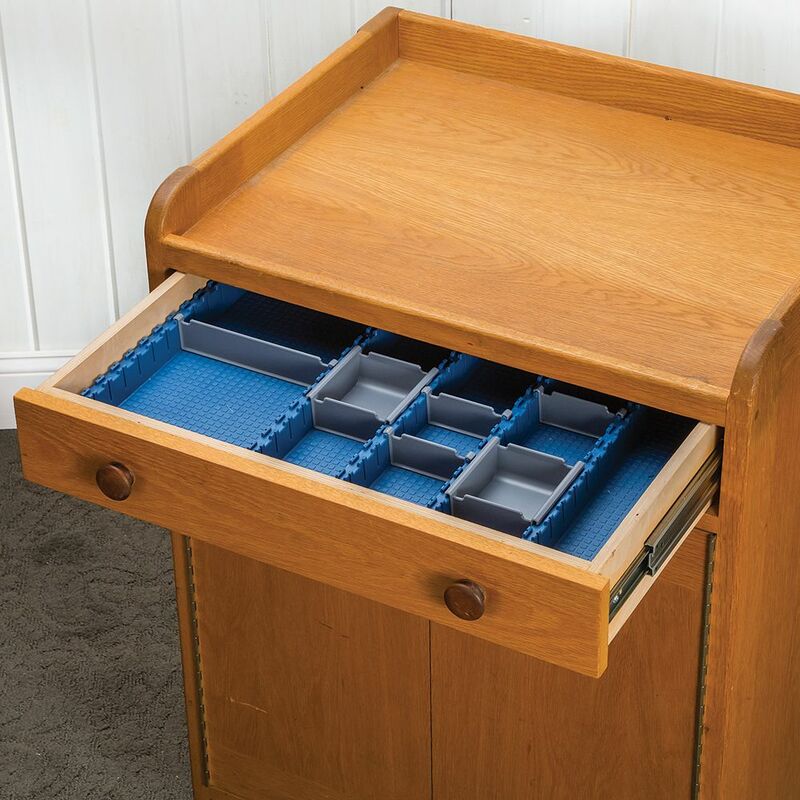 Organize any drawer—and keep it that way—with the Rockler Drawer Organizer System. 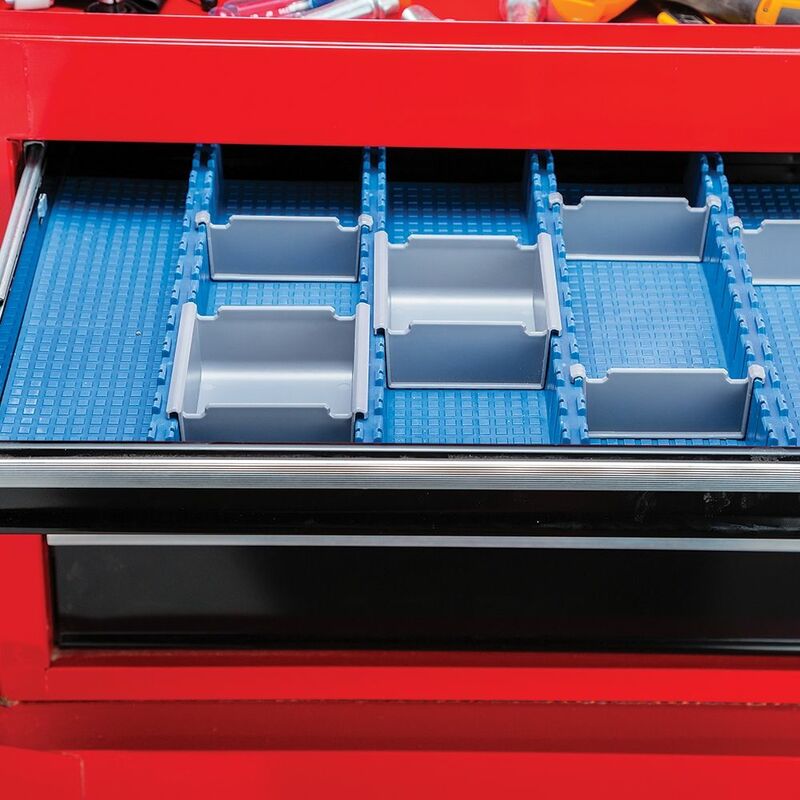 Use the interlocking trays, bins and dividers to build a tidy grid of compartments that is customized not only to the size of your drawer, but also to the tools and hardware that you need to sort. 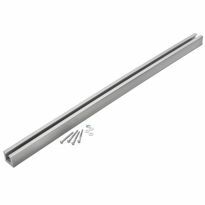 The trays interlock side-to-side and line up end-to-end to fill out drawers of any width or depth. When you get to the final piece at the end of the row, simply cut it to fit with an ordinary pair of scissors. 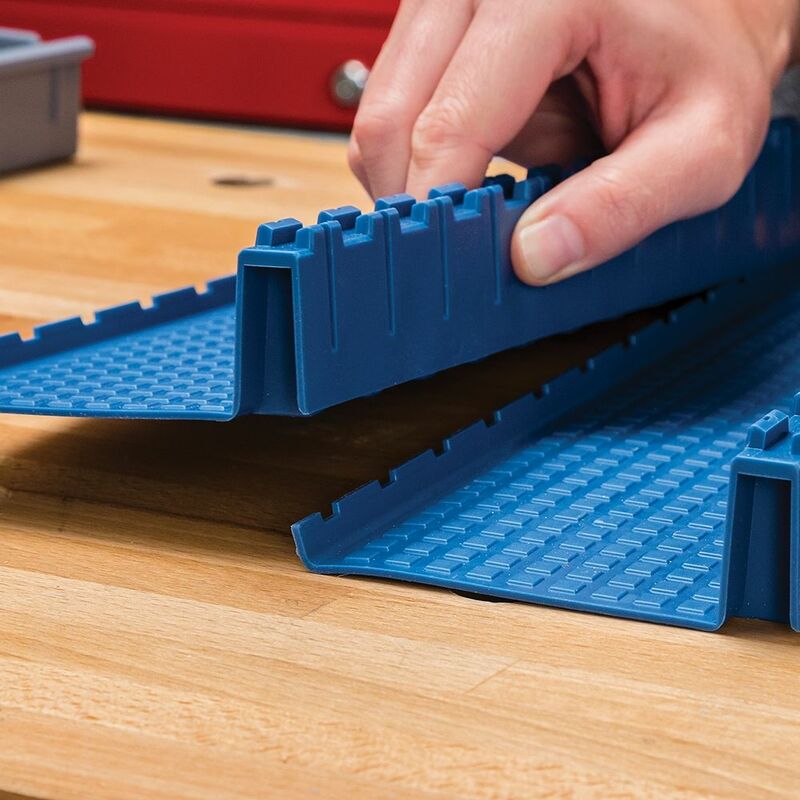 The synthetic rubber material is easy-to-cut, and the grid of cutlines on the back side ensures that the interlocking feature still works once the tray is cut. 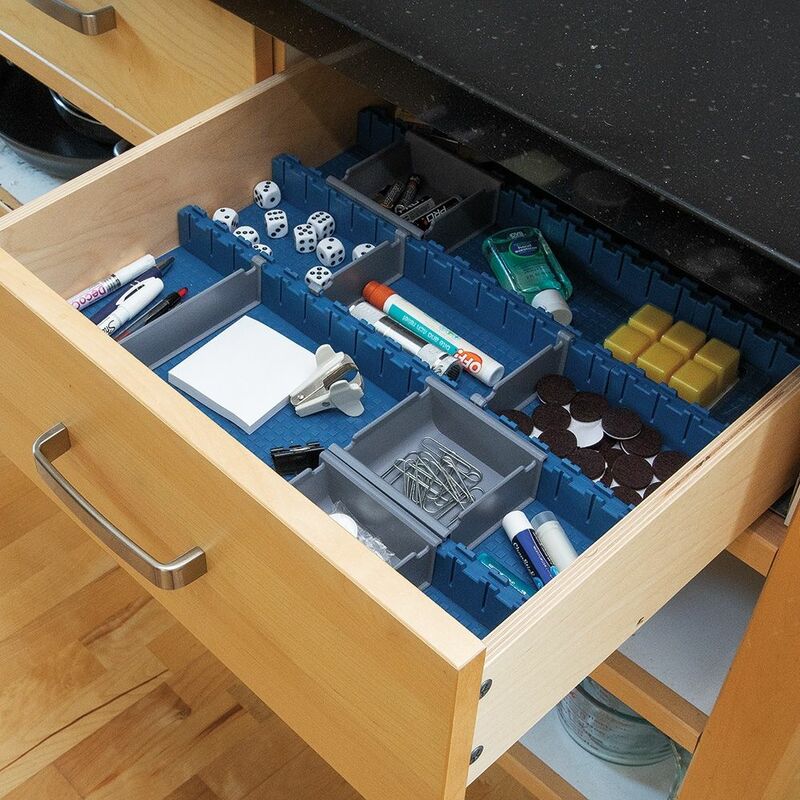 These are a great great organizer for cabinet drawers. But with 21” x 23” drawers, it takes 2 kits plus 2 wide drawers parts. That adds up to $80. And when one has 5 of these cabinets that have 5 drawers each..you see where I’m headed. They need a larger kit assortment to allow for larger drawers at the least. It would be easy to spend more on the organizer than on the cabinet itself..but they are a great solution! 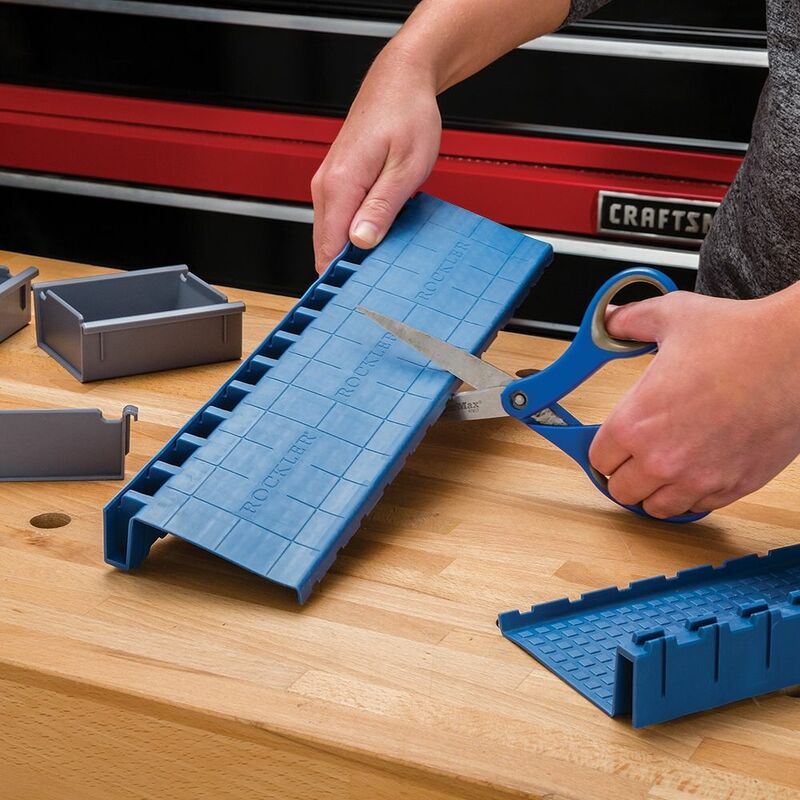 Perfect for my organizing of all my tools and parts and pieces. The kit lacks about 4 inches reaching the back of the drawer. Other wise I love it will be ordering more. These are great. Custom fit my drawers and divide them up like I want to. Everything fit correctly, easy to use and it looks good. I would recommend. The idea is great, pricing a little steep to outfit an entire tool box. I have cut up plastic trays, installed metal dividers, tried everything. This is absolutely the closest I have been able to get to work right on major brand tool chests. Really helped, could use other options as well. But it general worked great. I ordered over $100 of drawer pets and it only did half of the drawer. That means over $200 to do 1 drawer. I only paid $325 for the entire 11 drawer tool box. 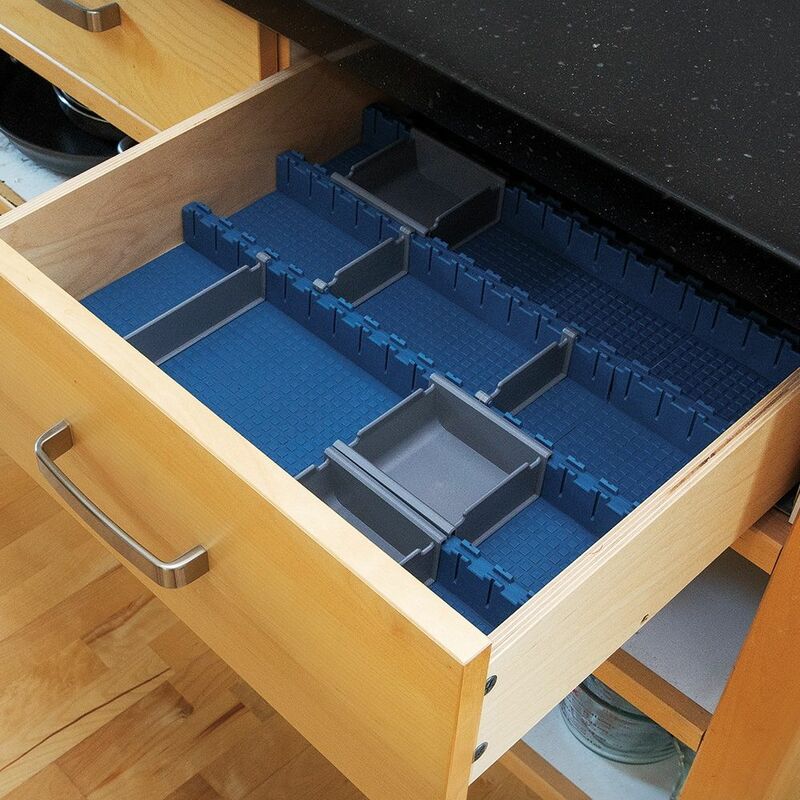 Great organization, but consider this: the picture above of the fully outfitted drawer would be about $100 worth of these mats and dividers. And that's just one standard depth drawer. I spent about $50.00 to do 90% of 1 drawer. 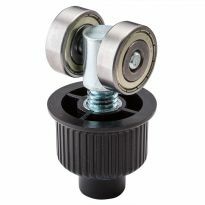 I really like the system, however the price will certainly limit it's use. I don't usually leave reviews on products but I felt compelled to this time. Facing a serious organization problem in the shop I thought I would purchase these from my local store and give them a try. I bought several packages and about $75 later I found out that I barely had enough to cover 1 drawer of my tool box. 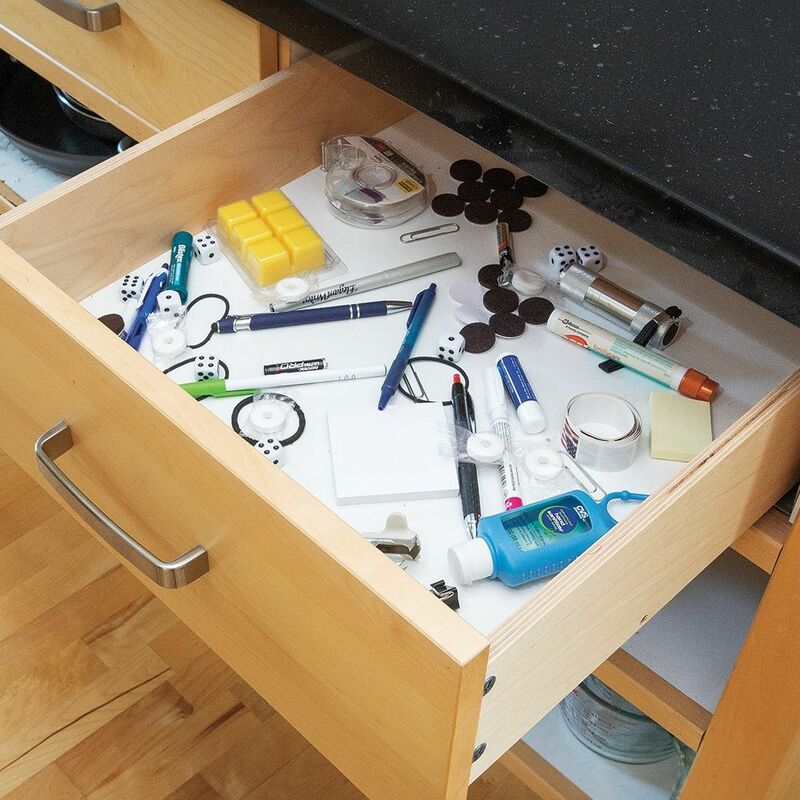 It is a large drawer but seriously?? These fit together we'll and are a good idea but they absurdly expensive for what they are........ drawer dividers. Just had an idea. Did the math and a couple sets of basic Lego would do the job for less money. I'm trying that next. Saw email advertisement and is just what I needed. Excellent customization for my work drawers. 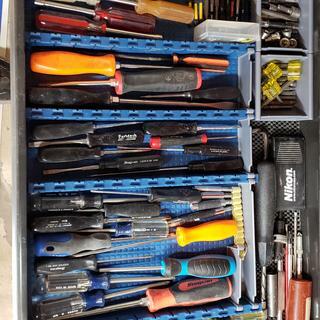 Have a few out of control toolbox drawers! Looks like a great product! Can't wait to give it a try in my rolling tool chest! 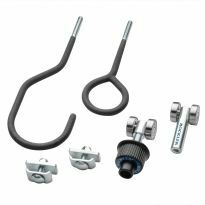 I have new husky 9 drawer cabinets and need a way of keeping my collection of stainless, silicon bronze, galvanized and straight steel nuts, bolts, washers and screws organized. Giving it to my husband for Christmas. 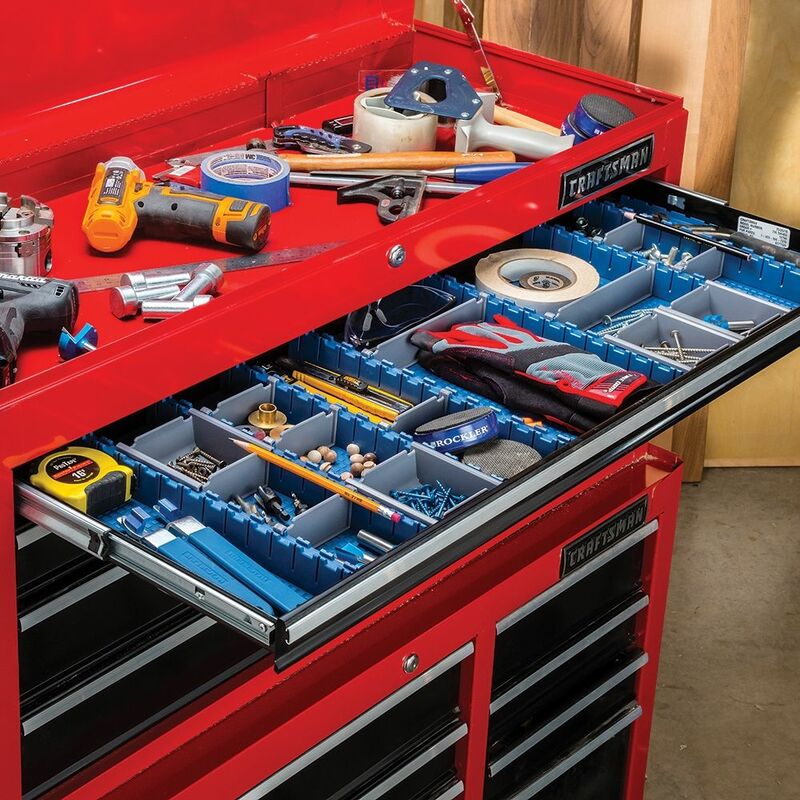 I have seen how the top drawer of tool box looks,it’s a mess. Believe he wil enjoy putting it to good use. BEST ANSWER: As this is a system you can make to any size you want, it should work. 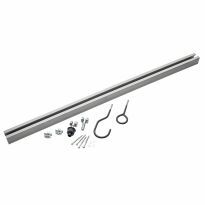 The height of the system is 1-5/8" so it fits in a 2-3/4" deep drawer. 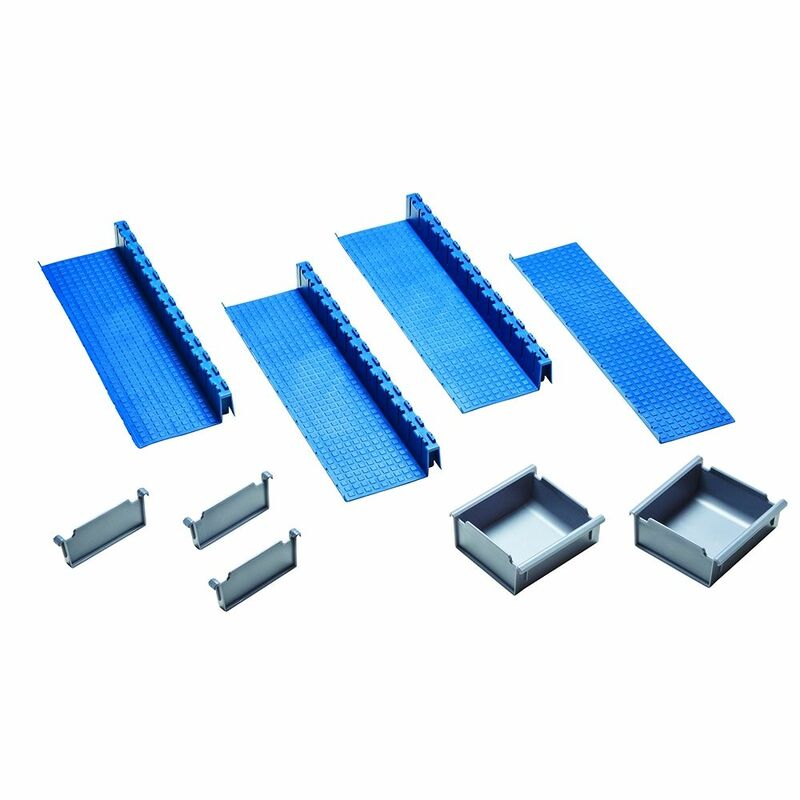 The system can be added on in any direction or cut to size if too long, so you can make it to match to the width and length you need, you might need to get a second starter kit to get that extra 1" depth or you end up with a small gap in the back of your drawer (as the blue trays are only 13" long). 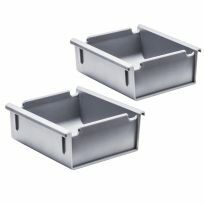 No option to buy tray sections individually or in packs like the bins and the dividers? 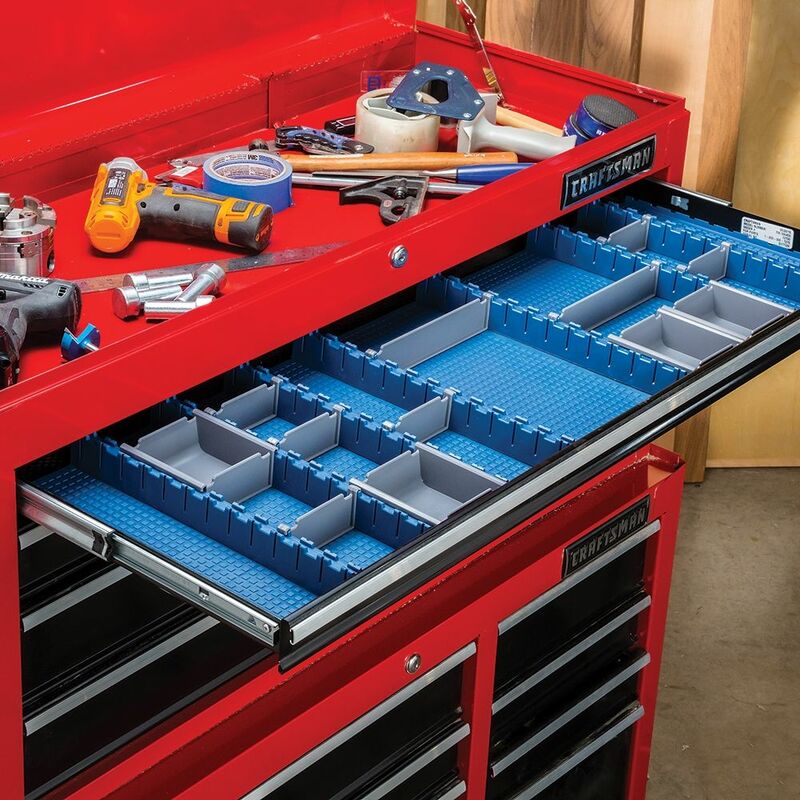 If you buy a bunch of start kits to get all the trays you need for a tool box, you might end up with a bunch of unwanted bins or dividers. 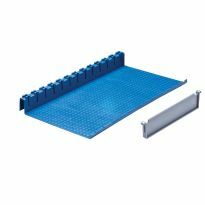 And if you want the wider trays, the only way to get more dividers is to buy more trays as well. Seems like a good idea, but to wasteful to trick out a whole tool box. 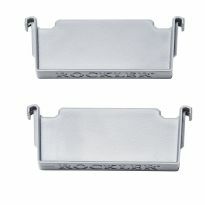 BEST ANSWER: A 2-pack of tray sections is coming out beginning of next year, along with some new accessories. Is there a taller version that will allow for storage in deeper drawers? BEST ANSWER: Good question and great idea. So far as I know there is only the one size of dividers, which are great for shallow drawers. 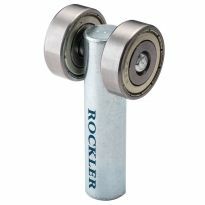 The idea is a great one for Rockler to consider.